Victoria Falls, one of the seven Natural Wonders of the World, is the sublime location in Zimbabwe for a new spectacular battle in International pigeon racing … Pigeons are supervised in a professional way, at a truly breath-taking accommodation and get a fair chance to show their true capacities. In the 2018 edition over 50% of all pigeons entered at the start, made it to a final race from Chipangali (410 km); a quite unique number! The pigeons made 18 Training Flights and 5 Hot Spot races up to 205 km - a well-considered preparation for judgement day; January 26th. Where the 2017 edition was very tough with low velocities for the winners, the 2018 edition the first of 1,128 entries came in with 1470 mpm speed … First and third prize were for American champion Mike Ganus - another sensational highlight for his impressive colony. It is fair to say the Ganus-pigeon have dominated the Victoria Falls competition over the first two editions. Last year the 2nd final and $100,000.00 winner raced by Ado Family Loft was bred from 2 original Mike Ganus pigeons … Mike himself took 8th place in the final and raced the 5th-6th-7th acebird in the Victoria Falls Challenge races. The 1st final winner GFL371-2017 Red Monkey of the 2018 edition is from famous Mike Ganus genes. Father Weston also bred the 46th final Million Dollar winner and is from Olympiad topper Aviator x Ganus base breeding hen Mona Lisa … Mother is Pandora, full sister to Mike Had A Very Good One who was winner of over 100,000 US Dollar pool money alone in SA Million Dollar Race 2014. Pandora is granddaughter Mona Lisa, which makes Red Monkey bred from son x grand-daughter to the best breeder ever of Ganus Family Lofts. Her grandchildren won in China - Taiwan - Portugal - Canary Islands - Million Dollar Race South Africa - Canada and in every state in America! Mike’s 3rd prize winner GFL392-2017 is from 50% the same genes! Father is Lancelot, also from Aviator x Mona Lisa … and mother is 88th final winner Million Dollar race Time Bomb, original Chris Hebberecht from his best genes. Hot Spot race 2 - 8th in the prize Money $1500. Hot Spot race 3 - 2nd in the prize Money $6,000. Hot Spot race 4 - 9th in the prize Money $1500. Hot Spot race 5 - 5th in the prize Money $1500. Tim Lucas from America won the 4th acebird in the Victoria Falls Challenge race 2018 bred from 2 birds he bought from Mike Ganus … Father is son to Said in Spun Silver the 2nd place Million Dollar final winner, and grandfather to the Million Dollar winner with 15 minutes Laura Is A Big Winner Today when mated to Soraia, 1st Knock Out winner Million Dollar races … Mother is daughter of Shirocco, 15th final and brother 3rd final in Million Dollar race when mated to Halover the 1st final winner Million Dollar race 2014. 2nd final winner for Peter Jendrichovsky with 75% Vandenabeele bird!! Hardly 10 seconds behind the winner, the 2nd prize was won by SK17-03506527 PJ Gabina of the Slovakian fancier Peter Jendrichovsky. A pigeon blessed with world famous genes of Belgian grandmaster Gaby Vandenabeele … another Vandenabeele success abroad therefore! Father of the silver medallist is original Vandenabeele from a direct son to The Lion King, the famous 1st prov. Tours 1,345 b. winner, with also 1st Orléans 682 b. … 5th prov. Bourges 2,054 b. and 14th Nat. Argenton 19,816 b. with also 40th-69th-69th National. Son Lion King was paired to daughter Louie, winner 23rd Nat. Limoges 6,138 b. … 24th Nat. Bourges 27,506 b. … 52nd Nat. Tulle 5,676 birds … 58. Nat. Limoges 11,869 b. Mother of the Victoria Falls runner-up is bred from grandson to Rudy - the modern base breeder Gaby Vandenabeele. - Alfons Klaas, 1st overall acebird Victoria Falls World Challenge Pigeon Race and 14th prize winner in the final. 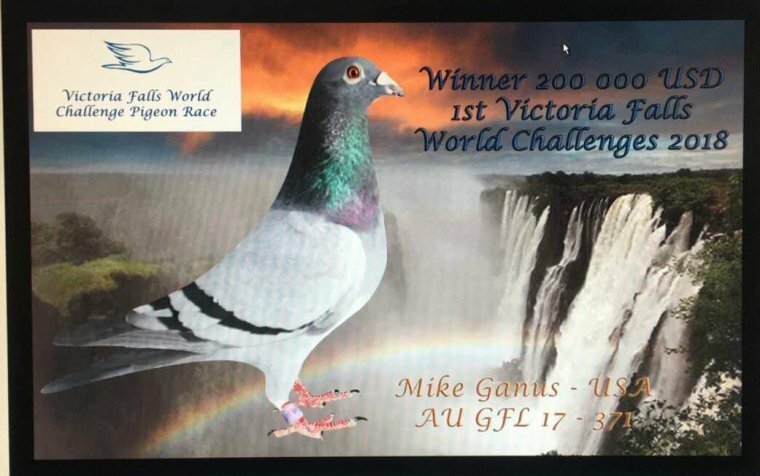 - Karl Heinz & Timo Wagner with the 1st Grand Average acebird Victoria Falls World Challenge Pigeon Race with 3 x top 100 in Hotspot & final racing, also top 50 prizes in Training. - Pieter Oberholster (PIPA Agent) with 10 of 11 sent pigeons in the final and 5 pigeons in the top 70 … also 7 in the first 205 entered pigeons. He raced as Old School Syndicate. 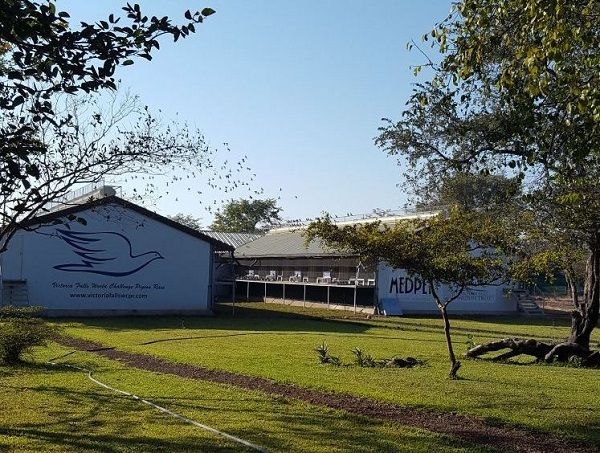 Victoria Falls World Challenge Pigeon Race was a huge success! More than half of all entered pigeons were in the final; not many races do better! 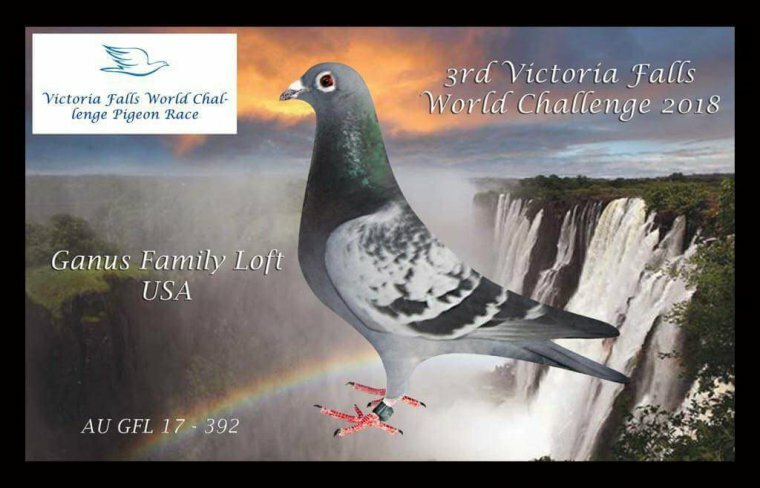 Already fanciers are enthusiastic to participate in the next edition of the Victoria Falls World Challenge Pigeon Race and the number of entries is bound to go up… The organization proclaimed few changes for next edition, the most important one is the total prize money goes from 700,000 to 1,000,000 US Dollar! The 2018 edition is continued later this year; in June an extra final shall be organised from 680 km … many of the birds that were entered for the past final can also compete in this Grand Finale. For the next years the final shall be in June as the organization considers circumstances in June as optimal.